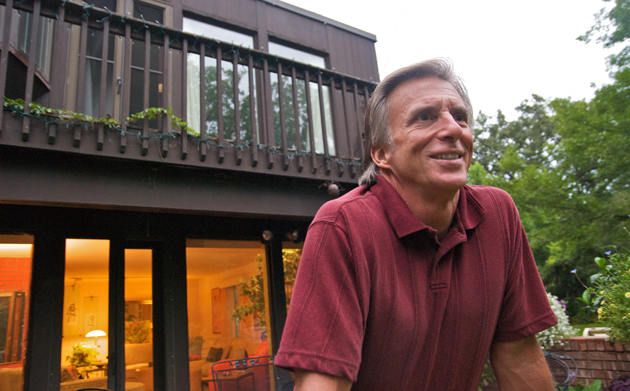 Rising above personal pain, Rockford native Tom Zuba uses his own experience with grief and tragedy to comfort others. When it comes to the subject of death, Elisabeth Kübler-Ross, M.D., wrote the book. Literally. The psychiatrist authored the groundbreaking On Death and Dying, which put her on the map as the expert on a subject most of us try to avoid. Tom Zuba has become somewhat of an expert on death, too, although he never meant to be one. He’s been learning to live with heartbreak since the untimely loss, one by one, of his young daughter, wife and eldest son. Rather than wallow in self-pity, Zuba uses these experiences to help others to work through their own despair. Today, the 54-year-old Rockford resident is a grief guide, motivational speaker and author. “We all want to be accompanied through the grief journey,” he says. “Elisabeth Kübler-Ross changed the way we look at death and dying. I want, literally, to change the way we accompany people as they learn to navigate their own grief journeys. I want to assure them that it’s going to be OK, that they’re not alone. Born in Chicago, Zuba moved to Rockford when he was 3. He first experienced loss at age 6, when his infant brother, Daniel Patrick, died unexpectedly, from an undetected heart defect, on the night of his baptism. As a young adult, Zuba graduated from Northern Illinois University and taught special education in Rockford for two years, before moving to Arizona, then Los Angeles. In time, he found his way back to the Midwest, settling in Chicago. It was there that Zuba met wife Trish (Trici), a colleague at the American Cancer Society, where he worked as a fundraiser. 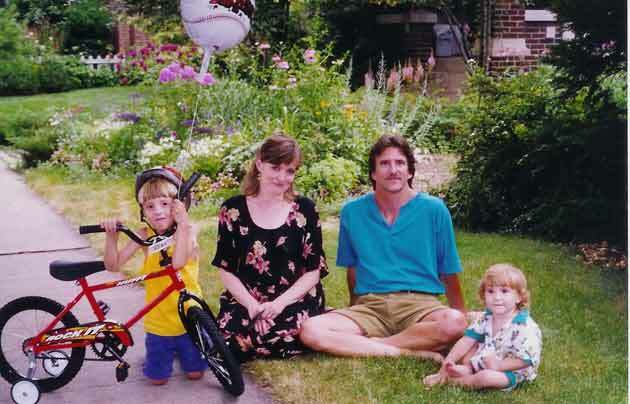 They married in 1985 and celebrated the birth of their first child, Erin, four years later. Their happiness was short-lived, however. The 18-month-old died suddenly in 1990, from a disorder called hemolytic-uremic syndrome, which occurs when an infection in the digestive system produces toxic substances that destroy red blood cells, causing kidney injury. But it wasn’t easy. To escape the constant reminders of loss that were all around him in his Oak Park, Ill., home, Zuba packed up his two boys in 2000 and moved to northern California, to find a new beginning. Together, the father and sons enjoyed the beauty of the West Coast, until Zuba felt a calling to return to Rockford, to raise his boys near family. In 2004, with the family settled into new surroundings, Zuba’s world was rocked again. Two days after starting the seventh grade, Rory began experiencing seizures; he was eventually diagnosed with a brain tumor. Despite the treatments he received in the best facilities across the country, and the prayer vigils held by classmates and strangers, Rory died in February 2005. The easygoing boy, who had enjoyed explaining Einstein’s Theory of Relativity to his father; who had devoured Shakespeare; and who had stayed awake late at night, contemplating weighty world issues like overpopulation and famine – was gone at 13. For the past nine years, Zuba and Sean have shared a cozy Frank Lloyd Wright-style home on Rockford’s northeast side. It has a smattering of photos and other keepsakes, but is by no means a shrine. Zuba calls his home “sacred ground,” a place of serenity, where he tends his garden and enjoys his vast book collection – mostly self-help and history titles. Zuba is busy, too, working on a self-help book about navigating the first year after a loss. He pens a column for Caring, a national health magazine; manages his website, tomzuba.com; and shares his message with a variety of community groups, including healthcare professionals. Perhaps Zuba’s greatest impact, however, is made via social media, where more than 1,200 people have come together on his Facebook page, facebook.com/tomzuba1, to share hopes and fears with one another. One of his followers is Sylvia Markley of Rockford, whose two eldest children, Ken and Phil, were diagnosed at an early age with Duchenne muscular dystrophy, which rapidly attacks voluntary muscles. Phil died earlier this year, just four days shy of his 23rd birthday. Homebound with 25-year-old Ken, Sylvia has struggled to cope with her sorrow. While she’s never met Zuba in person, she’s found encouragement and friendship on his page, and says that knowing his site is “just a click away at 3 a.m.” has saved her life. 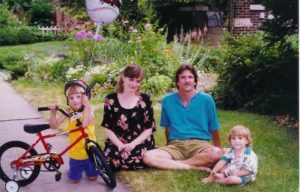 This year, Zuba marked the 21st anniversary of Erin’s passing. Rory would have turned 20. And thoughts of Trici are never far away. Zuba has just such a new dream. This entry was posted on Friday, October 14th, 2011 at 11:58 am	and is filed under Mind & Spirit. You can follow any responses to this entry through the RSS 2.0 feed. Both comments and pings are currently closed. what an incredible story. you are an amazingly strong and courageous person.